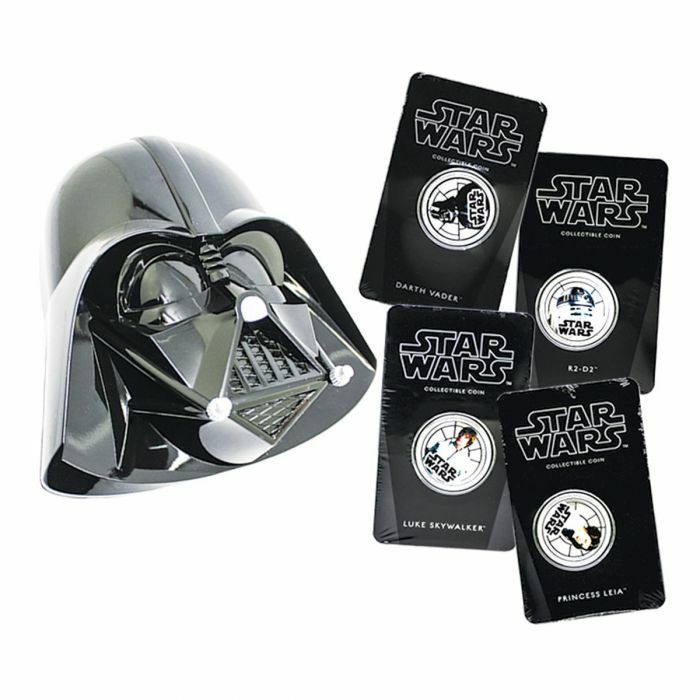 Bring your collection to the dark side with this 4-coin set, from New Zealand Mint. Housed in one of the most famous masks in cinematic history, these silver plated 1oz coins will stand out from the rest of your collection. May the coins be with you. Design - Each coin features the Raphael Maklouf effigy of Her Majesty Queen Elizabeth II along with the legal tender amount and mintage year. 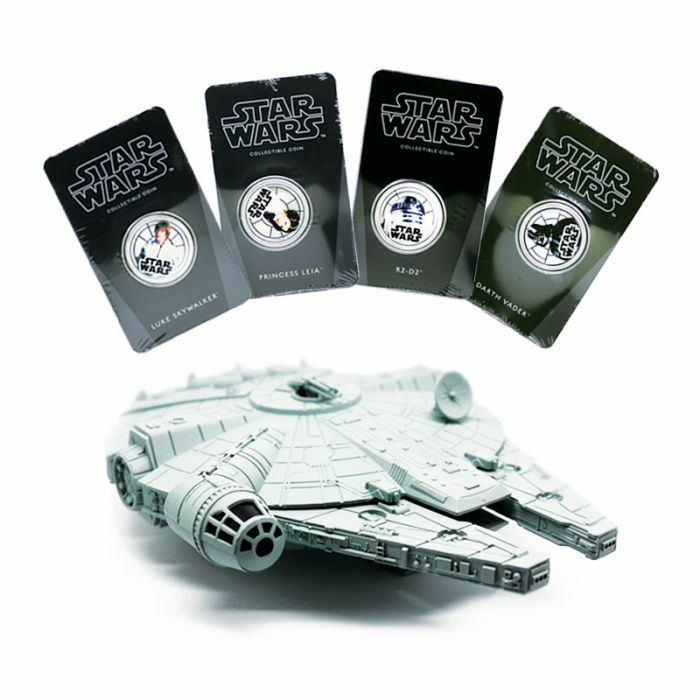 On the reverse side, each coin features a depiction of your favourite Star Wars characters. Bring balance to your collection with this 4-coin set, from New Zealand Mint. Housed in one of the most well-known starships in cinematic history, these 999 silver-plated 1oz coins will stand out from the rest of your collection. May the coins be with you.